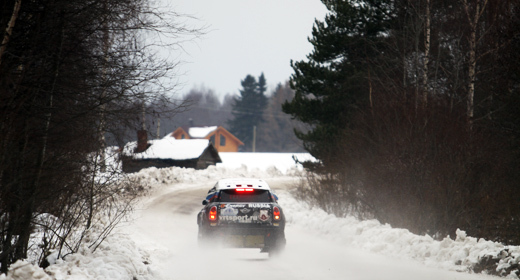 What do you think about the fact that Russian Baja opened the FIA World Cup this year? For me it is the historic fact! 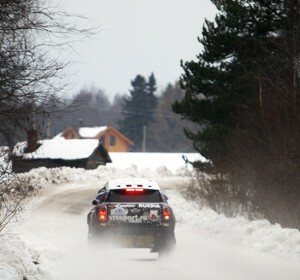 For the first time this year Russia hosts the winter Olympic Games in Sochi and first round of FIA World Cup for cross-country rally. As I am involved in group of Organizers together with Ruslan Misikov and Alexander Terentyev, I can say that we did a big job to achieve the status for this year. And from the side of competitor of its Baja, I can say that the international status gave all of us the great opportunity to increase the level of fighting, because more crews arrived, and as result the race became very interesting and unpredictable. How do you feel about the impact of the weather in the track? I like the snow racing but If we race with low temperatures about -20, it would be even more better for me. This would be the really Russian winter with the tracks full of snow. We enjoyed the rally tracks, also the tracks in the forest. Special adrenaline we took when we pass the tracks among the trees because they are very close to the car. Also we wished to show to the foreign competitors and journalists the really Russian winter with frozen tracks and low temperatures, but on this edition it was more looks like “warm” winter with just 0 degrees. I hope for the next year we will have really winter conditions. You have competing last year with the G-Force Proto and now you are competing with the Mini All4 Racing, which are the main differences between both cars in this tracks? G-force Proto is a good car, it is reliable and I used it during two years. I can say that its good in running but we often had technical problems. MINI, of course, is very different, much more reliable and on different kind of terrain, like hard bumpy parts, the suspension is working perfectly and steering is working fine. During this race we didn’t change any spare parts, we just checked all and started again. Practically you lost the victory due to the punctures, also another competitors complain about the punctures. Which was the reason to suffer two punctures? I can say that, of course, the punctures cost me around 4 or 5 minutes and for sure it is a lot for the Baja and for the overall result. But it is a technical sport and everything can happen. On the track we tried to drive the car really accurate but there was 2 stones we could not avoid, both of them were on the turns. We have heard that yesterday you have some kind of adventure with some animals on the track, what can you said about that? Yes, when we go on the track we saw some yaks. They were running directly on the track and we need to go slowly and we try to push a little bit one or two of them, just a little bit to force them to leave the track. We lost about 10 or 15 seconds, and the most important, all of the yaks were saved. Well in fact there are not yaks from our forest, this animals were in a reserve and the run away 6 years ago and now they live here in wild nature. 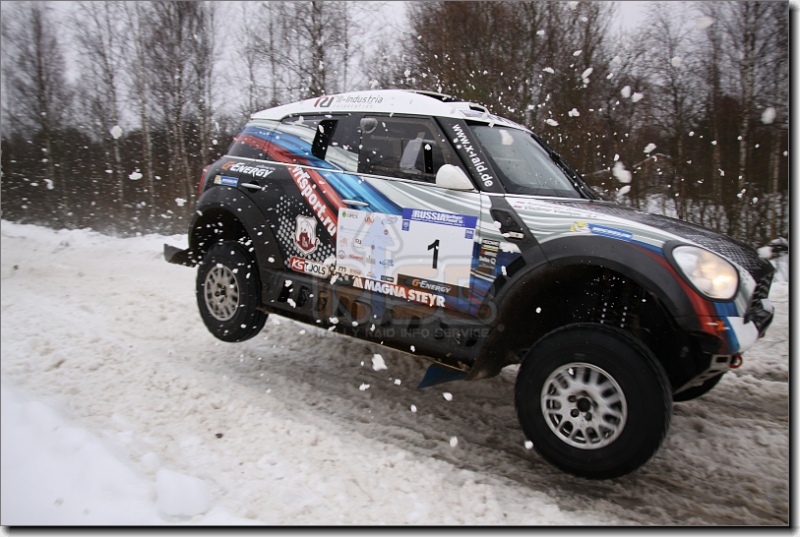 This is the first time that you work together with your new co-driver Konstantin Zhilstov. How this workout for you? It was a good race, from the first kilometer we understand one each other very well inside the car, and when we did the reconnaissance of the Prologue my co-driver wrote down the notes on the road book and when he read it to me everything was clear. As you speak about the prologue, can you explain us what happened at the end of the stage? Yes, this was the only mistake from the organizers, they just missed to put the control point in the service area and not only me, other cars go in different directions and searching for the control as well, even we followed the road book we can’t find it. What are your memories about the Hungarian Baja? Are you plan to take part this year? As you know I wish to take part in all events of the FIA World Cup, so the Hungarian Baja is included in my plan. For the memories, I took part in Hungarian Baja 2012 and I remembered it was a good race, hard, bumpy with a lot of jumps but for the MINI this kind of terrain, I think, will be the best for driving. Well remembered the Baja Spain. I finished third and Stephane Peterhansel won that year. That year I remember that I have a broken the front driveshaft and I drove 90 km without brakes and only with the rear driveshaft working. I remember a lot of fesh-fesh and dust and when I came back home I have a cough for one week. The natural tracks are the real advantage for Spain, the race is perfect and very useful for the Dakar preparation. I didn’t keep good memories from that race, It was my first time with the MINI and i was forced to withdraw due a technical issue. I hope this year will be better.